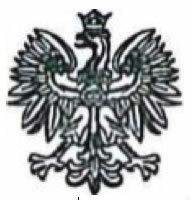 On April 11th, 2018, the Committee for the Re-Investigation of the Smolensk Plane Crash at the Ministry of National Defence of the Republic of Poland (Re-Investigation Committee) presented its report and its new investigation findings concerning the causes behind the Smolensk plane crash. The Committee presented during a press conference a summary and a full report. The Committee for Re-Investigation of the Aircraft Accident at the Ministry of National Defence of the Republic of Poland (Re-Investigation Committee), hereby presents the technical report on the state of its investigation into the causes of the crash of the Polish Air Force aircraft TU-154M in Smolensk, Russia, on April 10, 2010 (Smolensk Crash). During the course of the Smolensk Crash, all occupants onboard died, among them, the President of the Republic of Poland, Lech Kaczyński. According to the international standards of aircraft accident investigation, the Re-Investigation Committee focuses on the material facts, circumstances and evidence not taken into consideration in the final report presented on July 29, 2011 by the Polish Committee on State Aircraft Accident Investigation Committee headed by Jerzy Miller (Miller's Committee). Important facts, information and circumstances presented in the technical report of the Re-Investigation Committee dated April 11, 2018 (Technical Report) were not taken into consideration in the reports of the Interstate Aviation Committee in Russia dated January 12, 2011, (MAK Report) and the Miller's Committee's report dated July 29, 2011 (Miller’s Report). The findings of the Miller's Committee proved to be incorrect in light of the investigation conducted by the Re-Investigation Committee, and pointed to the wrong reason for the crash. 1. The Russian air traffic controllers at Severny airport in Smolensk, with the assistance of the commander of the Russian Aviation Transport Forces Gen. Benediktov in Moscow, consistently gave false information to the crew of TU-154M during the landing approach on April 10, 2010. 2. Contrary to the statement of the Miller’s Report, Commander of the Polish Air Force General Andrzej Błasik was not in the cockpit of TU-154M at the time of the crash and exerted no pressure over the pilot. The accusations against General Andrzej Błasik are therefore baseless. 3. During the entire flight, the pilot-in-command of the TU-154M made the correct decisions, which were agreed upon with the entire crew at the appropriate time. 16 minutes before the crash, the pilot-in-command made the decision to go around in the event of bad weather conditions and only perform a look-and-see trial approach to landing. Subsequently, he gave the order to “go-around” at a safe altitude. This command was confirmed by the second pilot. During the entire period of the approach to landing, the crew responded properly to the traffic controllers who communicated the distance from the runway. 4. The TU-154M aircraft was destroyed in the air as a result of several explosions. 5. At first, there were explosions in the left wing that led to the destruction resulting in separation of one third of the left wing. This destruction took place approximately 900m before the threshold of runway no. 26 of the Smolensk Severny aerodrome. The explosions destroyed the slats, ribs and spars, as well as the skin, and the pieces were scattered in an area 30m wide and 400m alongside the flight path. Then, the flaps of the left wing were torn off, their parts were also scattered at a distance of over 400m. 6. When the plane passed the point defined as TAWS38 located 710m before the runway threshold, a series of cascaded errors occurred, including errors in left engine, generator, flaps, undercarriage, both radio altimeters, the first hydraulic installation, and the magnetic course measurement system. 7. An explosion took place in the left part of the fuselage of TU-154M, in the area of Lounge 3. The explosion in the fuselage occurred above the ground. A catastrophic failure of the electric power supply occurred before the plane impacted with the ground. The left passenger door was blown away due to the pressure wave, as well as the first and third spar of the left center wing under the fuselage floor. Clothing of more than 30 passengers were torn off, the bodies of more than 10 passengers were severely disintegrated, and their body parts were scattered throughout a large area. The list of evidence presented in the Technical Report is not final. A complete list of facts, information, research and analysis will be presented in the final report. Key analyses, which led to the main conclusions, are cited as examples.